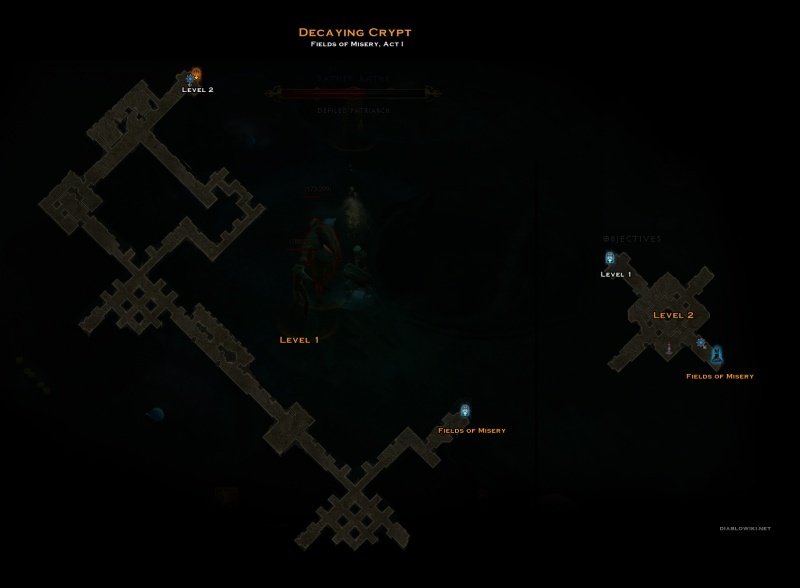 Decaying Crypt is a medium sized two-level dungeon in the Fields of Misery in Act I. The level configuration is random but below is an example of that. This page was last edited on 4 December 2012, at 17:57.